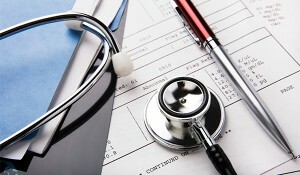 Republican presidential candidates are starting to roll on health reform. I mean that in a good way, like when the pilot accelerates down the runway and says “Let’s roll”. Governor Scott Walker (WI) just released his 15-page “Day One Patient Freedom Plan.” U.S. Senator Marco Rubio (FL) has written an op-ed in Politico that needs more detail, but contains a significant reform similar to Governor Walker’s. Both Walker’s and Rubio’s proposals are very good. Let’s focus on private health insurance, leaving Medicare and Medicaid aside for now. Both offer refundable tax credits to people without employer-based health benefits. In Walker’s plan, these tax credits adjust with age (from $900 for a child to $3,000 for someone between 50 and 64 years old). Rubio does not specify whether his tax credits would adjust with age. For political purposes, it is likely better that they do (because older people vote). Now is the time to start building on these firm foundations. Republican presidential candidates’ willingness to get in front of health reform with this level of detail so early in the campaign is a very positive sign that the eventual candidate will have a credible and effective replacement for Obamacare.